Resealable pressure sensative adhesive edges. 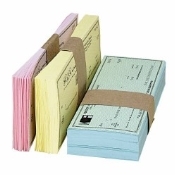 Great for use with teller daily work. Use instead of rubber bands which can tear paper. Two standard sizes: 1 7/8 x 10 and 1 7/8 X 15.